The date of the earliest services by the Brethren in the Dayton-Bridgewater area are not known, but they evidently go back to about the time when Rev. Daniel Garber, son of Elder John Garber of Flat Rock congregation, moved into the Dayton area in 1790. His brother-in-law, John Wampler, also came about that time. They lived not far apart with their lands being drained into the North Fork of Cooks Creek which flowed southward through Dayton, continuing a mile distant and northeast of Bridgewater and Mt. Crawford and on into the North River. Over the years many Brethren farmers lived on the rich farmlands drained by this stream. Working together, the Garber, Wampler, Miller, Bowman and other families they built up a prosperous body of worshipping Brethren called the Cooks Creek congregation. Mostly, they worshipped in the homes of their members from Sunday to Sunday, choosing locations centered in the vicinities around Dayton, Bridgewater, Beaver Creek. In this way travel distances were minimized. By 1822 the congregation had grown to such an extent that Garber’s church was built near Dayton, the oldest continuously used meetinghouse of the Brethren in Virginia. By the 1820s, the Beaver Creek Brethren had divided off from the Cooks Creek congregation. They built their own church house in 1828. In 1880, Cooks Creek had 300 members, mostly adults. Child baptism was uncommon and often persons waited until marriage before joining). There were five regular meeting places with seven ministers, Bishop Solomon Garber, John Flory, John A. Miller, S. F. Sanger, Peter S. Miller (all of the above with Bridgewater addresses), and Jacob Hedrick and Joseph M. Kagey, both with Dayton addresses. 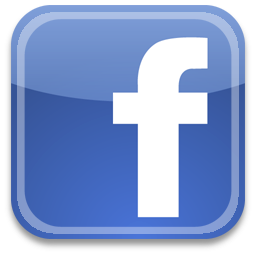 The known branches of the mother church in 1900 were: Garbers, Dayton, Bridgewater, Pleasant Run, Hinton Grove, Cedar Grove (Brandywine, WV), Smith Creek (W. Va.) and North Fork (W. Va.). 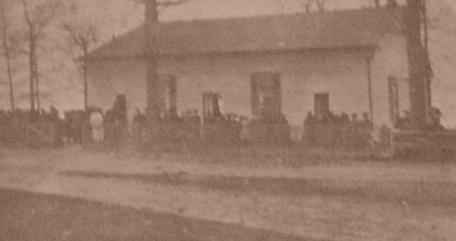 Even after Garbers Church was built, members continued meeting in homes. Those close enough to Garbers Church attended there. 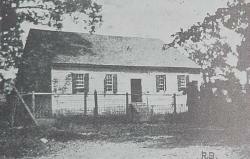 By the 1870s it became evident that Bridgewater needed its own meeting house. It was built in 1878, in order to accommodate their growing needs. Some of the leaders of the movement for a new church were S. F. Sanger, John A. and Peter S. Miller, and Solomon Garber. It was located on land obtained from Samuel Miller (ancestor of Naomi West) and was situated on the south east side of the Dayton pike in the northern part of Bridgewater. In 1883, the congregation agreed to purchase an acre of land for a cemetery. This land was located directly in front of the church house but across the side road. Later, this cemetery was enlarged and serves the larger community. A stone wall was built in 1892 along the road in front of the church and across from the cemetery. It had steps at its west end. An iron fence was placed between the road and the cemetery. The church house was sixty by eighty feet in size and had three entrances along the front. It was built large enough to “accommodate 1200 people,” a number which surely must have included many standing people! Elder Solomon Garber of the mother church preached the dedicatory sermon. Three thousand people are said to have attended the services of dedication on Aug. 25, 1878. It was obviously a major event for the local community and surrounding Brethren Churches. Preaching took place from a small, low platform. It was placed opposite the entrances and contained a pulpit and several chairs for ministers. A table also stood in the front of the church. At the front left and right sides, sat the deacons and deacons’ wives. Men and women also sat separately, their benches on either side of a dividing center aisle, women being on the left facing the pulpit and men being on the right side. At the left side toward the front near the deacons’ wives sat stood a large rocking cradle which was long enough to accommodate two babies. There also was a rocking chair nearby to be used by nursing mothers. This chair is now a prized artifact of the congregation. In later years, wires were strung for draw curtains, and this allowed classrooms to be created. The floor was raised in steps at each end of the church, and a bench was placed on each of the three elevated levels. These accommodated non-members, including youth, as well as visitors and curiosity seekers. A small kitchen was connected to the rear of the church. A door located on the north wall on the left side of the platform provided access. A large wood-burning stove stood near each of the two aisles in front of the raised visitors benches. Three brick walkways leading from each door toward the cemetery were built around 1906. Sometime during the year of 1936, the old church was torn down. In 1937 the ground sold for $300. Today, no evidences of this church remain except in the memories of the oldest survivors of the congregation and in the lives of the numerous descendants of those early families. The only visible remains at the site of this historic building were removed in the reconstruction of the intersection with Route 42 during 1997 when the remnants of the stone wall along the intersecting road in front of the church site were removed. Some of these blue stones were saved and used to construct the base of the new church sign in 1998. A small town park was then constructed on the edge of the church site. In 1907, the Bridgewater Church was given permission to separate and become independent from its parent church, the Cooks Creek Congregation. Emanuel Long become presiding Elder over the 201 charter members. From this time on, Bridgewater could elect its own ministers and manage its own affairs. During these years and earlier, congregations had specific and well known geographic boundaries. When Bridgewater divided, new boundary lines were set. The land across the river from Bridgewater was part of Beaver Creek territory. 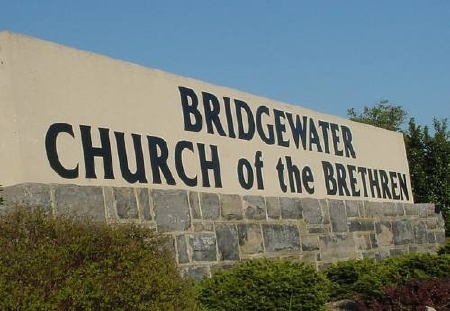 Soon many of the Beaver Creek members living there petitioned their church to allow the land adjacent to Bridgewater across the river to become a part of Bridgewater Congregation. This petition was granted, and many new members, including Miller families, greatly increased the membership of Bridgewater Church. In 1880-82, the denomination divided three ways, into Progressive Brethren (about 5,000), German Baptist Brethren (about 50,000 to 60,000 and now called Church of the Brethren), and Old German Baptist Brethren (around 4,000). Just how this division affected the Bridgewater Brethren is not fully known. In 1926-27, the Dunkard Brethren broke away over various issues such as the plain clothing, higher education, the salaried ministry, and Sunday Schools. A Dunkard Brethren church exists in Dayton, but it is small and struggling at the present time. In 1908, on the 200th anniversary of the denomination, the Annual Conference voted to change the denominational name from German Baptist Brethren (commonly called Dunkards or Dunkers) to Church of the Brethren. By 1912, the congregation began planning for a new church “in town” to be located close to the College. Construction on the new College Street Church began in the spring of 1914. 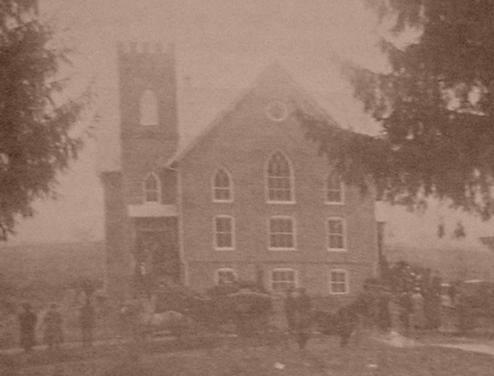 On Jan. 17, 1915, the new brick church was dedicated with Elder Henry C. Early of Mill Creek preaching. Already a large congregation, the church continued to increase. Needing a larger sanctuary and more Sunday School rooms, these were added on the west end and dedicated on Dec. 13, 1953. The membership that year was 667. In 1965, the older part of the church building was remodeled in order to construct a lovely chapel and to have a larger number of classrooms. In the late 1990s, experiencing a need for additional parking, office space, and more modern facilities, the church decided to sell the building to Bridgewater College and move to a location a short distance away on a hillside overlooking the town and mountains to the south. The new modern building was dedicated in the spring of 1998. The following are the salaried pastors who have served the church over the years. Membership at the time is given after each name as known. 2010 – present, Jeff Carr. The Bridgewater Church has called more than 40 ministers and advanced many additional ones who moved into the membership. Many missionaries have served from its ranks. It carries on an active community service role through its Pre-school, Before and After School Child Care program, Boy Scout Group, Interdenominational Food Pantry, volunteer programs, Disaster Auction efforts, Refugee Resettlement program (more than 30 family units), and hosting of community events from District Conferences to Concerts and Lecture Series.